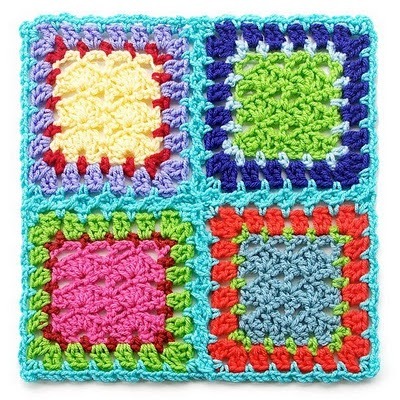 Since eventually we will want to be joining our granny squares to create a blanket or other item I thought we could do a roundup of all the different techniques so you can plan your blanket. 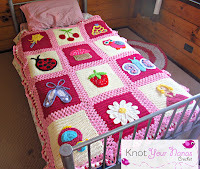 Some of these methods allow you to join as you go which is pretty handy if you are making a large blanket like me. 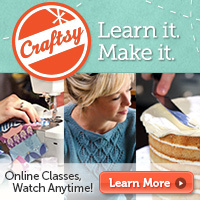 Are you still learning to crochet? 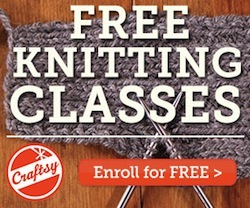 This class offered by Craftsy and hosted by Vickie Howell will get you on the right track and have you crocheting like a pro in no time. you're really having fun with this, aren't you! 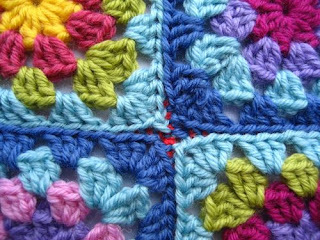 :) who would have thought, when I got back into crocheting that I'd be having fun doing granny squares....addicting little things! Thank you so much for combining them all in one list. I still do my joins the old-fashioned way, but I do need to learn how to do a quicker method ( with fewer tails to weave in!). 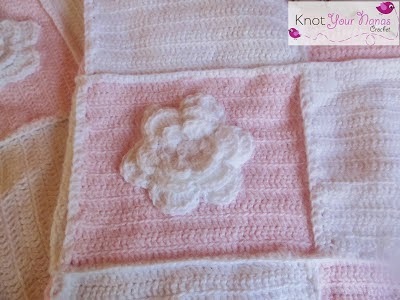 When I made my little blossom's blanket I used the first joining method. The Granny Join and I found it came together really fast. 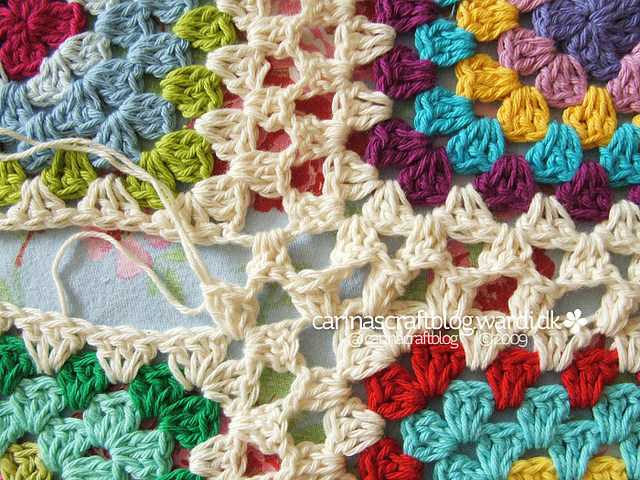 I will probably use this method for my CAL Granny Square Blanket. Awesome collection of granny square joining techniques! Thank you!!! Fantastic!! 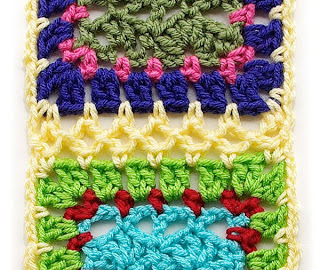 Now have u a technique on joining colours without knots? Hi there, what do you mean without knots? 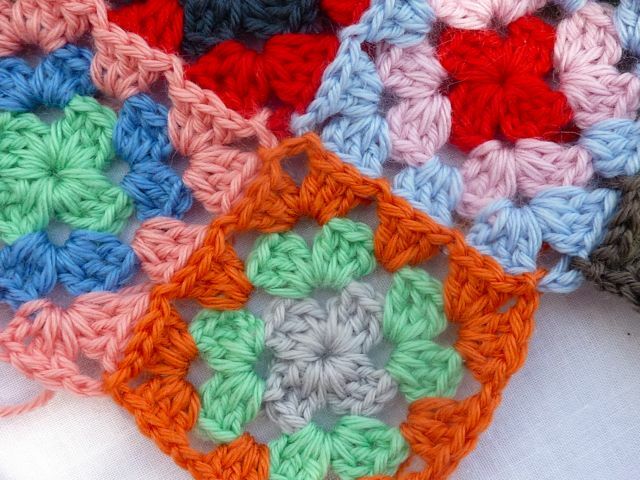 thanks i have a bag of granny squares from nine years ago! now the baby blanket will be her doll blanket. lol better late than never. Carina from Sweden, thank you so mutch!!! 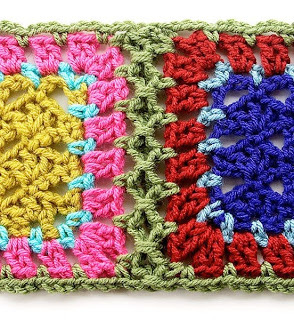 I like to use the single crochet together method. If you look at number 3 you can see what will look like on the front and the back. 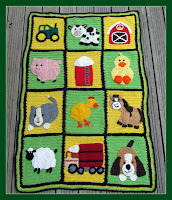 I have just about finished a blanket using this method so will put the pattern up when I am done. Thank you so much for the link love and sharing my tutorial on the Join-As-You-Go method. I would like to boost this post over at my blog if you don't mind. I think it is absolutely excellent. 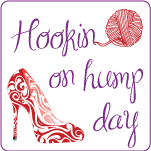 I'll borrow your initial photo and direct my readers over here with link love in a post this weekend. 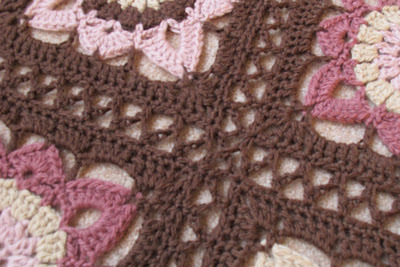 I just made a post on linking my Maybelle Squares so it is really currant to write another post about this right now. That would be amazing thank you! Your tutorial is a great one and I am glad you don't mind me sharing. Great blog, very useful content. These are really nice. Thank you for putting together so many choices. 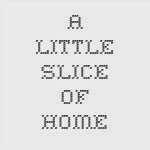 I also like the edges that you did. Great joining options! I used the flat braid join on my grandson's afghan and it was darling! 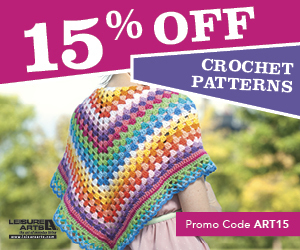 Would you mind sharing the colors you used for the afghan in example !0 Chain Join? Thank you for this compilation! 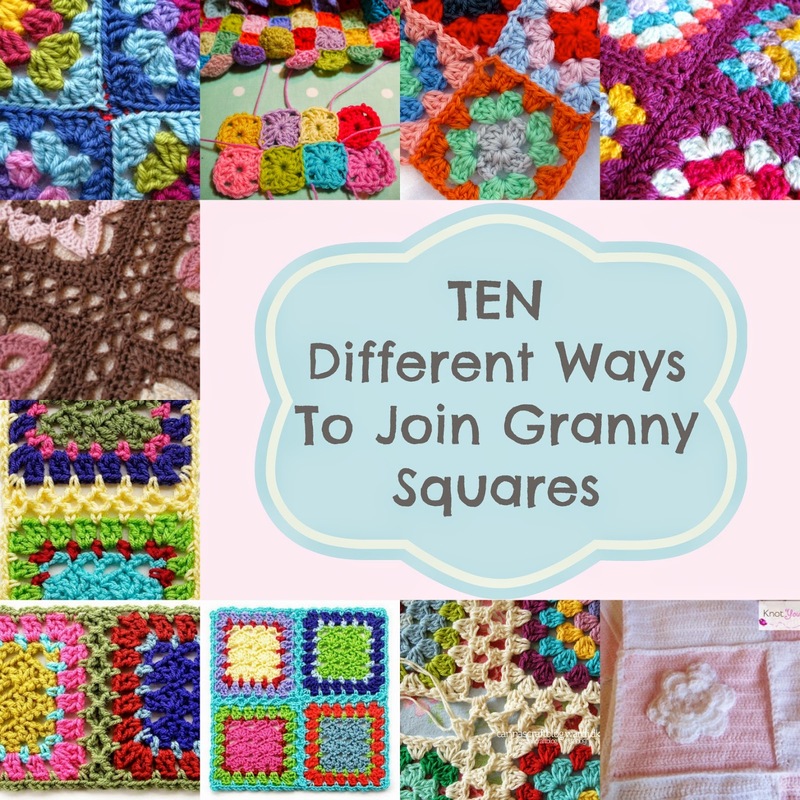 I was just looking for a link for a friend on joining squares, and I actually haven't seen some of these, they're beautiful!! 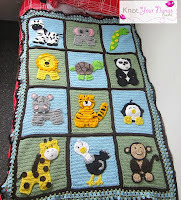 I'm planning some blankets, and am so glad I found this before starting them! many way. I appreciate you & your help. Thank you SO very much for posting this. When I joined my granny squares they looked a hot mess and a half and this has TRULY helped me so thank you SO very much!!! Thank you so much for the tutorial. It will be very helpfull. I was searching for this particular stuff!!!!! Thanks a ton!! Hallo - please let me know which of the 10 methods above will be perfect for joining hexagon (not square) motifs.? Thank you for posting these helpful tutorials. Thank you for Posting And sharing such great information.can you help me in finding out more detail on Drum heater, i am interested and would like to know more about Latest Sports News. Thank you for these joins.I just have one comment. when i tried to go to the link for the pattern under #10 the chain it went to a sea blanket pattern. 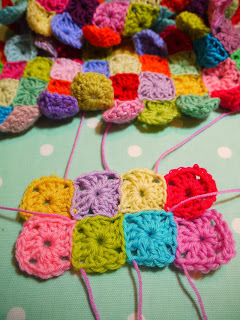 If you needing to figure out how to stitch granny squares, there is no better time. Knitting granny squares together to make things like a cover is a great method to relax. great blog as always and I've really enjoyed reading some of these comments. Amazing article it is, Your article is really awesome. Thank you so much for share your informative article. Amazing article it is, Your article is really awesome.I appreciate your post. Thanks for nice posting.